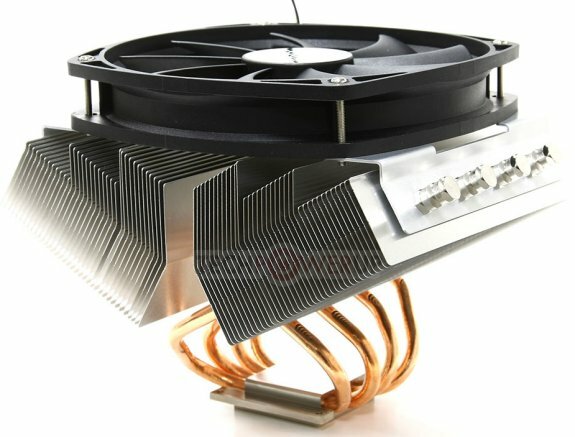 Japanese cooling expert Scythe announcing a new revision of the Top-Flow CPU cooler Grand Kama Cross. New Rev. B of the x-shaped cooler comes with reliable quality and performance for the same price as prior version. Main improvement is the compatibility to the new enthusiast socket LGA2011 from Intel. Furthermore Socket compatibility list includes latest Intel socket LGA1155, LGA1156, LGA775, LGA1366 as well as AMD socket 754, 939, 940, AM2, AM2+, AM3, AM3+ and FM1. Well-proven Top-Flow design of grand Kama Cross Rev. B utilizes the created airflow to additionally cool surrounding components on the motherboard. Curved aluminum fin structure deflects the airflow, which has a positive influence on temperatures of Voltage regulator modules, chipset and RAM. Efficient airflow is achieved by the pre-assembled 140 mm axial fan. Scythe Slip Stream 140 PWM fan comes with PWN support and allows stepless fan speed adjustments from 500 to 1.300 RPM. Grand Kama Cross Rev. B combines high performance and quality. To prevent copper base from corrosion it is nickel-plated. 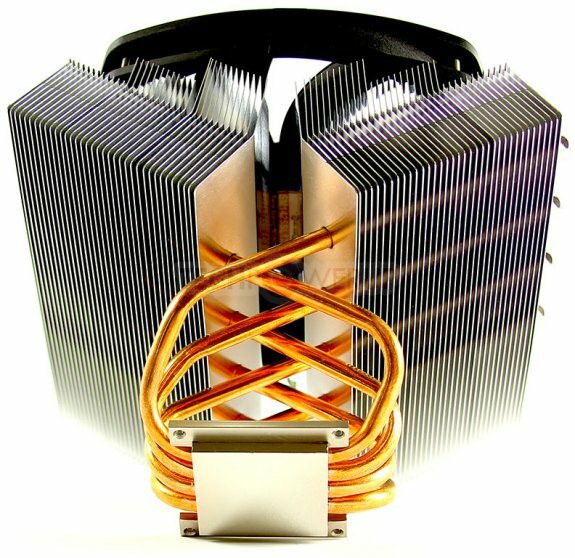 Fast heat transfer from the copper base to the aluminum fins is achieved by utilizing 4 copper heatpipes. Overall Dimensions (177 x 140 x 137 mm)as well as weight of 750 grams remain same with the prior version. New Grand Kama Cross Rev. B (Model No. SCKC-2100) is available as of today for 30,50 EUR (excl. VAT/TAX).